Greeting cards and animated advertisements are created with Flash swf documents .Sometime we need to download these cool embedded graphics from web pages .Downloaded flash files in SWF format can be decompiled or extracted to create new custom flash documents .Sothink SWF Catcher is free browser addon for Firefox and Internet explorer to download and save these flash documents . Sothink SWF Catcher currently works with internet explorer and Firefox 3.5 . Download the application : After installation load the page from where you need to download flash .From tools menu ,select Sothink SWF Catcher . Now the application will show all available swf files in a new window .Select the required one and download . Sothink SWF Catcher is available as a Firefox addon : Download the xpi file and open it with Firefox . Complete installation and restart . Now head over to the target web page with Flash swf documents . 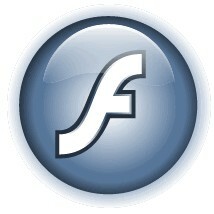 Click on Sothink SWF Catcher menu button and select the appropriate Flash file to download .